Experience and Innovation in Solutions with People. We are a company that operates in People Management and Consulting services, 100% Portuguese and established on May 28, 1987. We are the largest national provider of Contact Center Management services, working in the areas of Outsourcing, Handling, Job Solutions, Training, E-Learning, Consulting and Customer Experience. We pride ourselves on having a team of about 2.000 employees and, as customers, the largest public and private companies in various sectors of activity, such as: Telecommunications, Media and IT; Services; Financial Institutions (Banking, Insurers and Rental Companies); Industry, Commerce and Tourism; Utilities, Health, Transportation and Logistics; Public Administration and Business Associations. RHmais was born on May 28, 1987. At the time, the company was integrated into the Compta Group, of which it was part until the year 2000. Multitempo - Empresa de Trabalho Temporário was born on March 15, 1995 and it is one of the companies of the RHmais Group. In 1998 RHmais was certified by DGERT - General Directorate of Employment and Labor Relations (Direção do Emprego e das Relações de Trabalho) as a Training Entity in several areas of Training and Education. In the year 2000 RHmais assumed the corporate name which defines it today, RHmais - Organização e Gestão de Recursos Humanos, SA, being no longer part of the Compta Group. In 2002 RHmais was certified by APCER with NP EN ISO 9001 in the scope of the provision of all its services. In the scope of its Handling activity, RHmais was licensed by ANAC in 2012 for the categories of Administrative Services and Passenger Assistance for Lisbon, Porto and Madeira airports. RHmais entered the ranking of the 100 Best Companies to Work in Portugal by Exame Magazine and Accenture. Multitempo Serviços was born in 2014, aiming to complement Multitempo's activity in the area of human resources in outsourcing services in the agricultural, industrial, logistics, commerce and services sectors. RHmais was once again ranked among the 100 Best Companies to Work for in Portugal by Exame Magazine and Accenture. In 2015, RHmais renewed its certification by DGERT - Directorate General for Employment and Labor Relations (Direção do Emprego e das Relações de Trabalho) as a Training Entity in several areas of Training and Education. On December 2nd 2015 the RHmais Lionesa Contact Center was inaugurated at the Lionesa Business Center in Leça do Balio, Matosinhos, with a total area of 2.500 square meters and capacity for 590 work stations. In 2016, RHmais made its transition from the Environmental Management System to the NP EN ISO 14001:2015 reference framework, with the scope of its implementation focusing on the company's headquarters in Lisbon and the RHmais Lionesa Contact Center. 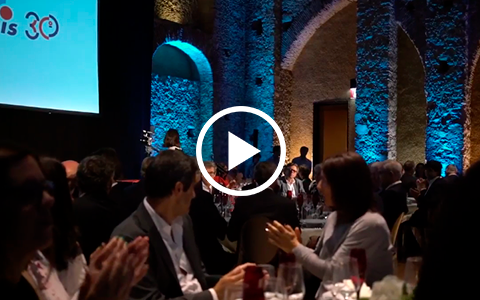 On March 9, 2016, Sónia Silva, Supervisor of a core team of Customized Management for Customers of the RHmais Lionesa Contact Center, received the Best National Contact Center Supervisor Award at the Fortius Portugal Awards event. On August 16, 2017 RHmais inaugurated a new Contact Center in Lisbon. With approximately 180 square meters, RHmais Lisboa Contact Center is located in the Xerox Building, Avenida Infante D. Henrique, and has a capacity for 64 work stations.